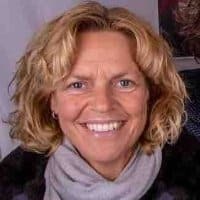 August 29, 2017 – EdgeConneX®, specializing in global data center solutions at the edge of the network, announces today that its VP sales & business development EMEA, Annemarie van Zadelhoff, will participate on the panel, “50 Billion Safe and Secure Devices Connected by 2020, You’re Having a Laugh!” taking place during iCU Frankfurt. The panel will discuss the prediction that upwards of 50 Billion devices will be connected and online by 2020, the technology and physical infrastructure needed to support the increase in IoT-connected devices, and the role of Edge computing in supporting the security of the network. 5 September, 11:00 – 11:45 a.m.